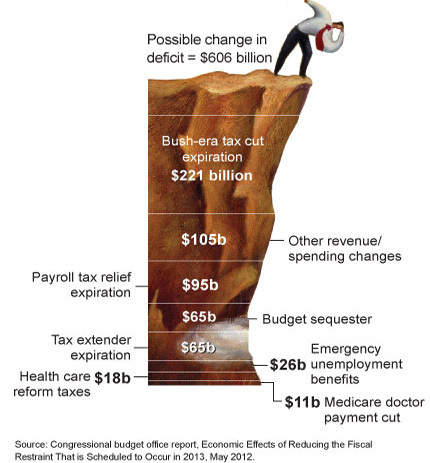 Fiscal cliff budget negotiations are ongoing through the end of this year. Republican House Speaker John Boehner put forth his proposal this week: cutting 600 billion from federal healthcare programs over the next ten years via raising the Medicare eligibility age and moving to a chained CPI (Consumer Price Index)for Social Security. Meanwhile the White House has asked for some sizable revenue increases through tax rate increases and tax reform. According to the Congressional Budget Office, Social Security would save over $108 billion over ten years if it used a chained CPI. However, the Consortium for Citizens with Disabilities opposes this change as it would be a substantial benefit cut to some of the nation’s most vulnerable people. Many seniors and people with disabilities already live on the edge of financial disaster. Any cuts to these programs mean a cut in basic needs: food, housing, clothing and medicine.